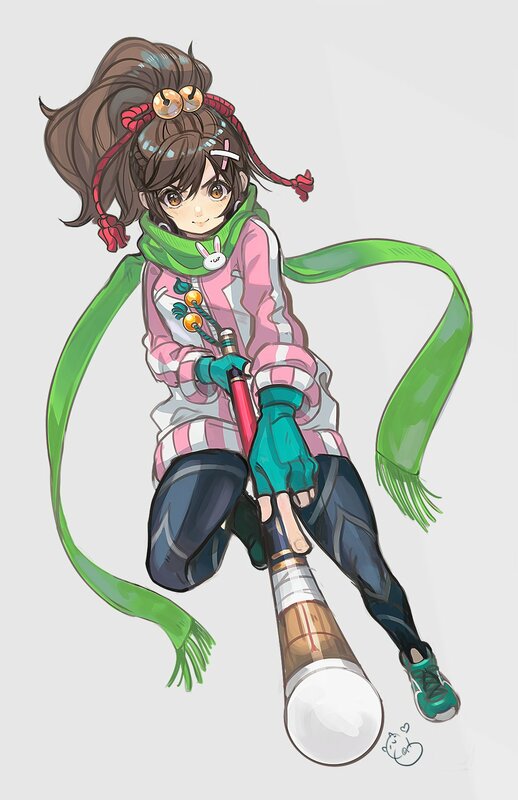 A cheerful athletic girl who stands out with her exceptional Sports Naginata skills; however, she is occasionally overcome with a sense of deja vu when using it. After crossing paths with a certain man at the Sports Festival (Hayate), Sanane felt something and began to question the truth behind her early life. 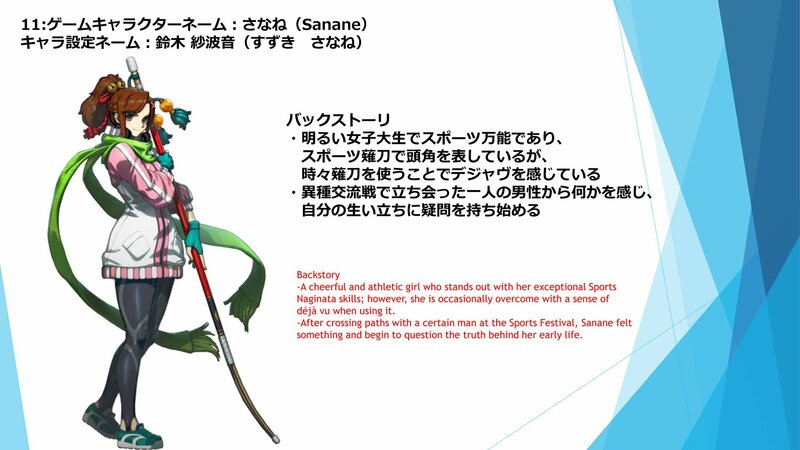 She shares some traits with Street Fighter EX series veteran, Nanase. In the way that Hayate is like Hayate, Sanane is like Nanase from SFEX2. 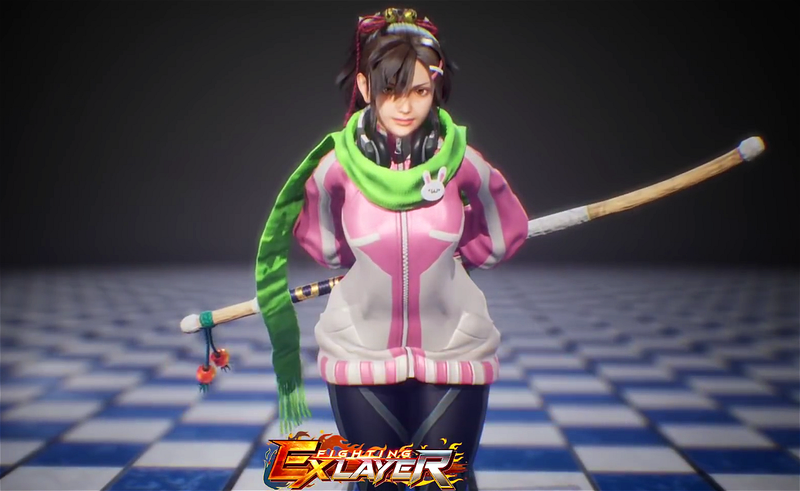 Akira Nishitani is confusing me with what he's doing with these Fighting EX Layer newcomers, but I'm nonetheless intriigued. So far, I like her design.... I'm excited to see what Trendy Sporty Girl can do with her cool-lookin' Naginata. It seems like she borrows some elements from Nanase's fighting style - if not animations directly (I gotta research that). I'm sure she'll have some unique stuff too.